Tekbox TBST-86/49/45/1 EMC shielding tent is the ideal complement to your EMC pre-compliance test with Tekbox TEM-cells TBTC0, TBTC1 and TBTC2. Dimensions: 86 x 49 x 45 cm. Tekbox TBST-120/60/60/2 EMC shielding tent is the ideal complement to your EMC pre-compliance test with Tekbox TEM-cell TBTC3. Dimensions: 120 x 60 x 60 cm. 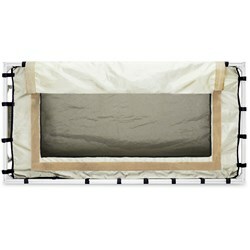 50 dB EMV shielding chamber. 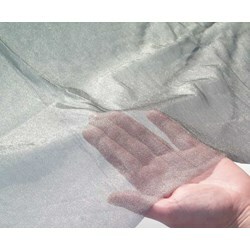 Highly transparent, washable, antiseptic, extremely permeable to air, highest RF shielding performance. Installation with a included cable tensioning set (5m steel cables). Please also order the appropriate shielding mat! 100dB Shielding/Grounding mat 130x230 cm (for shielding chamber S). Shielding the floor area is indispensable with nearly all types of floors, as RF radiation can permeate them virtually unaffected. connection to a radiator (heating appliance) and a cable with plug for direct connection to the wall socket's integrated grounding. 100dB Shielding/Grounding mat 230x230 cm (for shielding chamber M). 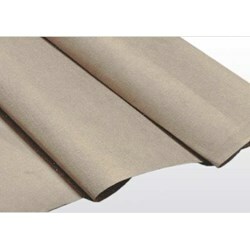 100dB Shielding/Grounding mat 310x230 cm (for shielding chamber L).